On the other hand, complementing this both big projects, the Cupertino company is working with other projects like the application of a solar thermal water heater, as the one they already have in Cork, Ireland, which disposes almost the 100% of their cafeteria water needs; and also the installation of a white cool-roof design to provide maximum solar reflectivity thanks to photovoltaic panels. 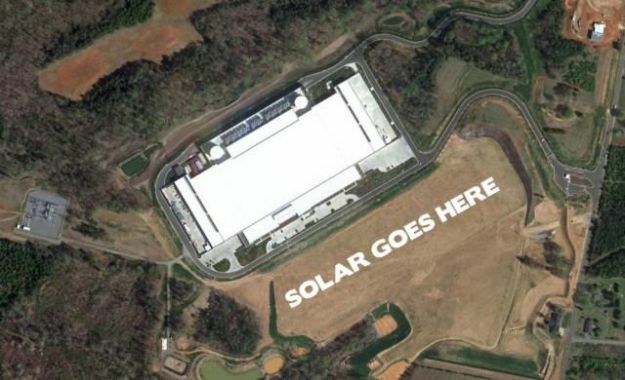 At DiscoverSolar we know maintaining a big company green is never easy. So we are glad for these good news and want to congratulate Apple for their attempt of reducing their carbon footprint trusting in solar energy and also in solar panels. Keep on going! For more information, visit Apple Environmental Information Site. Via Renewable Energy Focus, DigitalTrends, and TechCrunch.